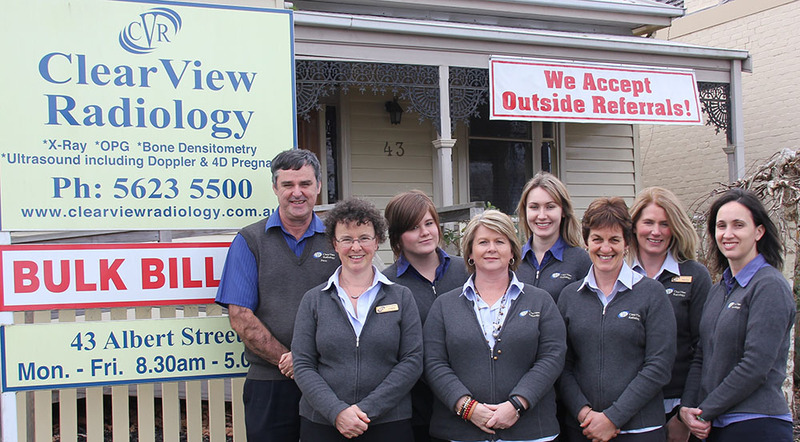 Clearview Radiology is a locally owned and operated family business opened by Peter and Louise Shaw. We have been open 10 years and can still be found in the same great location. We were the first radiology practice to offer bulk-billing to the community of the Baw Baw Region. With a team of highly skilled staff we offer a professional and friendly service. We offer Ultrasound, 4D's, X-Ray and Bone Densitometry. Radiology referrals on any letterhead are accepted. There is disabled access and parking available at rear of building. Peter Shaw and staff are proud to offer you a complete and professional LOCAL radiology service, possessing a combined total of 100 years experience in the profession.